Taking advantage of the beautiful Santa Clarita Valley nature reserves and parks is what can make the valley such a special place, and one of the oldest in the area is the Placerita Canyon Nature Center. As a network of self-guiding nature, interesting history, and vast hiking trails, all of these Placerita attractions radiate out into the park from the Center. The Center offers a large variety of activities, such as long hikes leading to a seasonal waterfall and to the top of the Santa Clarita Divide, or picnicking being made available near the Nature Center. Full of history and beauty, the Placerita Canyon Nature Center is a great way to spend any day outdoors in the Santa Clarita Valley. The Placerita Canyon Nature Center is home to quite a few historical sites, with one of the most important and oldest being the “Tree of the Golden Dream,” which was where the first ever documented discovery of gold in California occurred. In 1842, a local cattle herder was working in the Placerita area when he decided to take a rest in the shade of a tree. During his nap, he had a dream that he was floating on gold and when he awoke to take a short walk, he then dug his knife into the ground to dig out onions and instead found gold. What makes this story important is the fact that after this discovery he then petitioned the Mexican government, who at the time controlled California, for permission to mine in the area, making this the first ever documented discovery of gold in California. 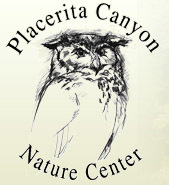 The Placerita Canyon Nature Center has several different activities and events to help entertain local residents outdoors such as weekly family nature walks every Saturday and every second Saturday there is a guided bird walk tour, both being free of charge and hosted by helpful friendly docents and volunteers. The park also has seven different hiking tours that vary in difficulty from beginner to advanced. The Nature Center can help to provide maps of the trails and safety information about the trails as well as warn about any animals in the area.